LAHORE: Hydropower being one of the most complex forms of infrastructure has multifarious technical dependencies and considerations involving geotechnical, hydrological, seismic and environmental parameters to name a few. Extension projects on existing structures are even more complex given the interface and operational challenges. 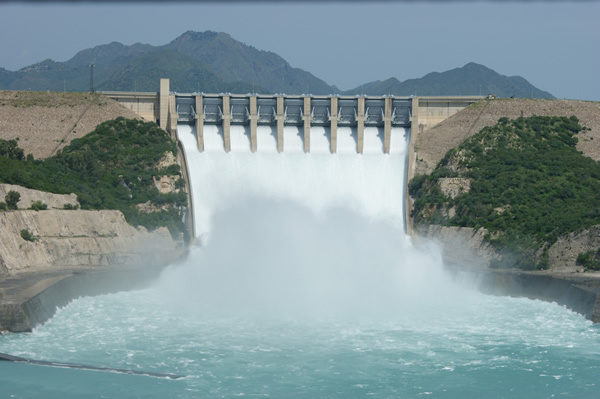 Tarbela 4th extension is one of the most successful projects executed in the water sector of Pakistan. As of late, a certain part of the social media has unleashed a defamation campaign against this internationally renowned and praised project being run by some of the world’s best companies, experts and workforce. The malafide intent behind this campaign is obvious. Had the perpetrators of this so-called scandal bothered to research the issue properly, or even pay heed to the clarifications/explanations offered by the project authorities, they would have realised it is nothing more than a witch hunt. When the civil works are complete, and the instrumentation, electrical and mechanical equipment is installed, the testing and commissioning phase commences. During the wet test, it is required that the equipment is tested with a variety of parameters; essentially, different heads and different flows. This is replicated so that all main and auxiliary equipment and their performance may be ascertained and remedial measures, if any, may be taken before the works are handed over from the contractors to the employers. It is also important to note, the project still has 570 days of DLP (Defect Liability Period) where rectification of any defective or substandard works or installations remain the responsibility of the contractors if any. During this process, there are numerous parameters and checklists that have to be signed off to proceed further. As with all such projects, international best practices being the benchmark, the same was observed at Tarbela before tests were carried out. The silt accumulated during low head testing was more than what had been calculated and that is primarily due to the unique and fluctuating hydrological situation being experienced as a result of an abnormal movement in the delta. However, this is not an unforeseen possibility, and provisions to rectify the same do exist and were employed. To top it all off and kill the controversy of some major disaster/damage at Tarbela, as of 8 September, the previously commissioned unit is already back in operation and generating electricity. To answer all the hydro experts in the media along with their ‘sources’, no damage was done, and the unit is already operational. Moreover, no loss was incurred by the national exchequer due to the inauguration; instead, an unaccounted and unbudgeted for 177 million units of energy was generated during testing up to June 2018.